The following are some of the projects designed and implemented by the students of IMIM’s first cycle within their corporate environments, mainly for Bill Mitchell’s seminar Project Innovation. 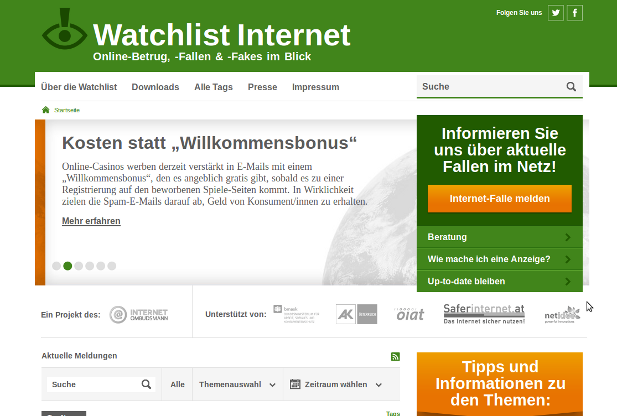 Within the context of Austria’s Internet Ombudsman, Edith Michaeler set up an anti-fraud platform called Watchlist Internet Fraud, also offering a comprehensive “dictionary” of current internet fraud cases relevant to Austrians. Dieter Bornemann introduced a social media academy for the Austrian public broadcasting company ORF, where he works as the Deputy Editor-in-Chief of the Economics Desk, as well as the main representative for ORF journalists. At the moment, ORF is not legally allowed to use social media (pending appeal). This law does not exclude individual journalists from using social media, however. Dieter implemented social media guidelines and offered seminars to foster the idea of spreading news items via social networks. As an employee of Bucarest’s Mediafax Group, Daniel Secarea launched a weekly/bimonthly digital magazine called MG Insider in order to foster the internal communication of his company. Mediafax recently went through the process of integrating three companies into one. However, after 35 issues, Daniel decided to freeze the project and use it as a case study for his Master’s thesis, which focuses on the impact of internal communication on corporate culture. Matthias Stöcher‘s Dispono is an internally used software program designed to allow the editors of derStandard.at to automatically share content taken from the company’s content management system (CMS) on three of the largest social networks: Facebook, Google+ and Twitter. For his Master’s project, he reviews the option of making visibility a critical success factor of online advertising. 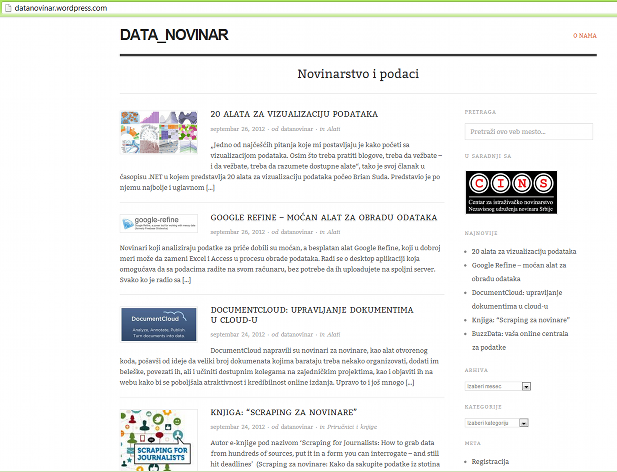 Nevena Rsumovic‘s Online Resource Center for Data-Driven Journalism in Serbia has the following objective: to facilitate learning of data-driven journalistic methods and their introduction into the journalism of the region by creating a unique website in local languages. The website aims to be a resource center for journalists and journalism students. For her project, Kismet El Sayed worked on the redesign and branding of Egypt Independent (founded in 2009), which is the English version of the Egyptian independent daily newspaper Al-Masry Al-Youm. 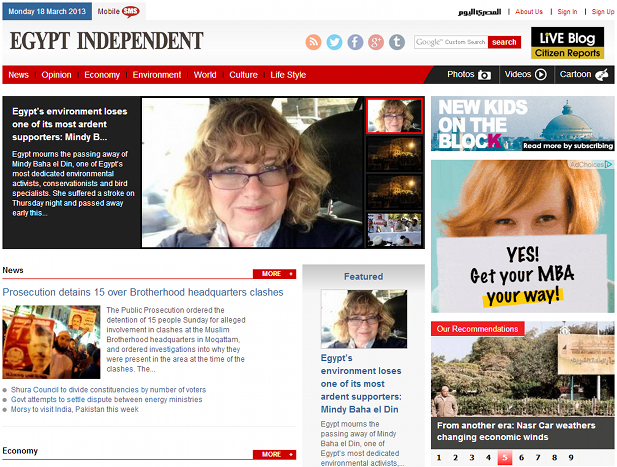 Subsequently, El Sayed and her team launched a weekly print edition of the English-speaking news service and mobile content. IMIM’s students come from various fields and backgrounds: telecommunication, IT, media & entertainment, often referred to as international T.I.M.E. industries. During the course, the candidates are trained to solve real-life problems interdisciplinarily. That earmarks them for jobs that don‘t yet exist – although the need for them does. … learn how to develop creative strategies, operate strategic changes and implement innovative products or services within their companies. … carry out real-life media convergence projects in one or several of the cooperating news companies. … build up an international network of professionals – fellow students as well as lecturers, international academics and leading executives. … shape their intercultural competence and hone their language skills. … acquire competencies in analysing and reflecting international media economics, politics, ethics, law, media literacy and cross-media journalism. … enhance their leadership skills and other relevant social skills.